Sonitec Security Systems is a leading Westchester security company when it comes to custom design and installation of state-of-the-art Closed Circuit Television systems (CCTV systems). Whether you are looking for an analog or IP surveillance system for your building, our experienced team can provide expert design and installation of CCTV systems at your property. 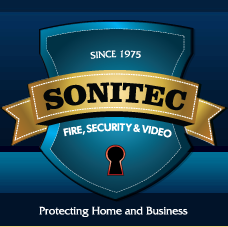 Sonitec Security offers a wide variety of security camera systems and digital recorders to the greater New York City area, Westchester, Rockland, Fairfield and Bergen Counties. We only use reputable, reliable security company brands such as Brivo, Eagle Eye, LTS, Unix, HIK Vision, Sony, Honeywell, GE Interlogix , Speco Technologies, Digital Watchdog, Dedicated Micros, Pelco, Arecont Vision, Exaq Vision, OnSSI, Axis Video and more. Analog CCTV surveillance systems are older technology when looking for an affordable security system for your building or business. Lower quality and identification of recorded images. If basic presence of video is desired, there are bargains to be had while supplies last. An analog CCTV system works with analog cameras and a Digital Video Recorder (DVR). The DVR converts the analog signal to a digital format. Once converted, the digital video is available to view from anywhere in the world via computer, iPhone, iPad, Android Phone or Blackberry. For very little more you can own a high definition video system and utilize any existing analog wiring at the same time. Whether for your building or business, a 1080P or IP CCTV surveillance system is the better choice of quality recorded images. 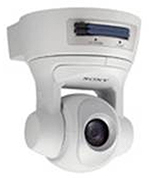 An IP CCTV surveillance system includes IP cameras and a Network Video Recorder (NVR). With an IP CCTV system there is no need for any conversion as the video is already in a digital format. The major advantage of an IP CCTV system over an analog CCTV system is the camera resolution, which can be up to 60 times better than the highest resolution analog camera. As with the analog CCTV systems, the video is accessible from anywhere via computer, iPhone, iPad, Android Phone or Blackberry. Constant video monitoring of your facility offers an effective deterrent to theft, break-ins, and vandalism. CCTV systems can frequently reduce your liability insurance rates and minimize fraudulent claims allowing the system to pay for itself quickly. Monitor your premises anytime from anywhere via computer, iPhone, iPad, Android Phone or Blackberry— providing 24/7 protection of your facility. Sonitec Security Systems offers the BEST features available in digital surveillance security technology ensuring that you achieve maximum value from your CCTV system. GUARANTEED!